Shrewsbury is lovely at this time of year……travel details- or gastronomic alternative! Well, back to the important business. 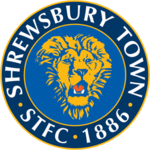 Next Monday- 27th February- we head to Shrewsbury, the home town of Charles Darwin hoping to continue our evolution towards League One (see what I did there? Sorry, couldn’t resist!). This match will be live on Sky Sports, but it’s crucial that in a game against a promotion rival we’re there in the flesh to shout on our team. We need the points, and on that basis, the lads need our encouragement- and if you watch it with a curry at the football club, in Redz Bar, or in your armchair, it doesn’t matter how loud you shout- they won’t be able to hear you! Coaches will leave the Broadfield Stadium at 1.30 PM, and prices for travel are £20 for members, £25 for non members. Please book early if you can, as we need to finalise coach numbers.